I'm liking the pattern that I've settled into now. On a family birthday, I head up to my parents place on a Friday. I do some training at RGA Bucks the following morning, after which my parents treat me to an art exhibition and a posh meal in London. On the actual birthday I'll get yet more tasty food and catch up with my sister and nieces, before heading back home to Bristol. Awesome. The art in question this time was perfectly targeted to my taste, a National Gallery exhibition dubbed Rembrandt: The Late Works. As my father is a member (one of the first, as that scheme is quite new at the National Gallery, compared to the Tate and Royal Academy which have had memberships for a long time), it didn't matter that all the tickets were sold out, as members can just wander up and show their cards. Like I've mentioned before, my favourite period of art is 1450-1700, especially Mannerism, the Northern Renaissance and the Dutch Golden Age. 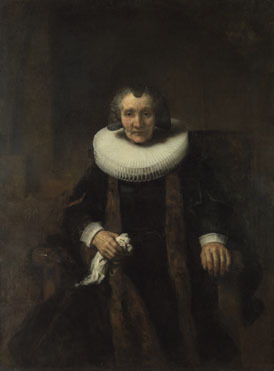 Rembrandt is arguably the pre-eminent example of that third category. Even so, £16 is rather steep, given that despite my habit of staring at paintings a really long time and going through every single caption and audio commentary, I was still done in less than two hours. Fortunately I didn't pay anything, but worth keeping in mind if you're paying full price. Though it did work out well, as I only had just under two hours before the restaurant booking anyway. Strangely, there are no descriptive captions in the exhibition space. Instead, those are all in the booklet you get given before you go in. For me that's positive, as firstly it maximises space for exhibits, secondly it means you end up with an informative memento of your visit. Hence why I'm armed with way more facts about the exhibition than I would normally: in total, there are 91 exhibits (5 of which are from The National Gallery itself) across seven small rooms. Of those 91, 33 are oil paintings, the rest are etchings and ink drawings. The audio guide (£3.50) was a little sparse for my liking. It covers 24 of the exhibits (19 paintings and five of the etchings/drawings). Given that there were only 33 paintings in total, I felt there could have been more (although to be fair, some of the commentary did cover two paintings at one and multiple drawings, plus there were a few "click play to hear more" moments). It wasn't as good as the Turner audio guide from last time, as there was far too much pretentious waffling about Rembrandt's 'love of humanity'. By contrast, the Turner guide talked about the nitty gritty of constructing the painting, so materials, technique, framing and so forth, with some historical context. The Rembrandt guide wasn't devoid of that, but I found myself rolling my eyes at some of the pontificating about the painting's meaning. Pointing out references and providing convention is useful, such as how Margaretha de Geer's confident pose and commanding gaze might relate to her sharp business sense and formidable personality, as she took over her husband's company after his death. Talking about 'feeling' is rather less helpful. Any quibbles are forgotten when you're stood in front of the incredible paintings, which is of course why you bother going to the exhibition in the first place. Rembrandt is endlessly fascinating, achieving so much with just a few brushstrokes, innovating right up until his final painting. At first I was a bit disappointed that two-thirds of the exhibition was etchings and drawings, but here the audio guide became especially useful. 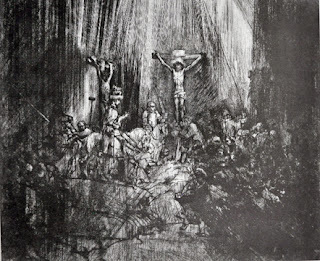 It was enlightening to learn how Rembrandt had continued to fiddle with the original plate after he took prints from it. For example, when he got to fifty prints from one of them, there was quite a bit of wear to the plate. So he almost completely changed the scene before continuing to take prints. There are a number of famous works in here too. Aside from the National Gallery masterpieces regular visits will already be familiar with, you get to see great works like 'The Conspiracy of the Batavians under Claudius Civilis' (loaned from The Royal Academy of Fine Arts in Sweden), 'The Jewish Bride' (from the Rijksmuseum) and 'The Anatomy Lesson of Dr Joan Deyman' (from the Amsterdam Museum, also recently discussed on a BBC Four documentary all about anatomy). So perhaps a bit overpriced, but if you've got the money and you're a Rembrandt fan, well worth checking out. It's on until January, IIRC. Training at RGA Bucks focused on sweeps from guard, something I'm keen to improve. Kev teaches lots of technique on a Saturday (I don't know if that's a Saturday thing or if his classes are now normally like that), with three different options increasing in complexity. First off there's the basic scissor sweep. Start by getting a deep grip on their opposite collar, then with your other hand grab their same side elbow. Alternatively, you can grip their wrist and pin it to your chest. Rener makes a clear distinction here, as he suggests grabbing the sleeve if they are pushing into your bicep, grabbing the wrist if they are pushing into your chest. Either way, your intention – and this is true for lots of sweeps and reversals – is to prevent their ability to post with that hand. That makes for a straightforward test for whether or not what you’re using is effective: can they put their hand on the mat and prevent the sweep? That was followed by the reverse scissor sweep, which I taught a class on a few years back. When you try to hit the scissor sweep, you may find that they shift their weight to block it, or try to grab your knee. Either way, that means you can then change to a reverse scissor sweep instead. Your shin is either across their stomach for the scissor sweep, or as Kev recommends, going higher and angling the knee up into their chest. You've also got a grip on the collar as well as their same side sleeve. Rather than pulling them onto you and chopping out their leg, switch your sleeve grip to their opposite sleeve, then yank it across their body. The elbow of your gripping arm can be used for base. Next, release your collar grip arm and reach around to their opposite armpit, bringing them in tight. As when you're trying to take the back, you need to press your chest into the back of the arm you pulled across their body, so they can't pull it back out. On the same side as the arm you've trapped, put your back on the mat, which should enable you to fling them over in that direction with your braced leg (this should feel effortless: if you're straining, then adjust, as without good leverage you could hurt yourself) and move into side control. You should also end up in a great position to cross-face. John Will uses a slight variation, on his Mastering Sweeps DVD (which I bought from him at his excellent seminar a few years ago). Rather than gripping the collar and sleeve, he advises gripping and then pushing your palms inwards, rather than leaving any slack. This makes it a bit easier to switch their arm to your other hand, as you already have a grip, rather than having to use your collar grabbing arm. Will comes up on one arm, then as he falls back to lift them, he switches the posting hand to instead reach through their arm. This is so he can end up reaching past their armpit into the collar. Finally, Kev showed us a nifty option against combat base. Sit up, then reach your arm on the outside of their base, going under their raised leg. Feed their far collar/lapel to that reaching hand. That is enough to sweep them, but to make it easier, you're going to break their balance. If they are driving in towards you, pushing your inside foot to their same side hip/knee. To knock them forwards, kick that leg out, which is normally going to make them base on their far arm. You can now grab that arm and drive for the sweep. Put your inside knee to their hip, cutting their knee out of the way, then slide through to mount. I had the pleasure of being smashed by a big purple in specific sparring, and that was with him being nice, waiting for me to react. It was from guard, where I am still weak: I need to keep looking for angles and pushing for some kind of offence. On top I was trying to keep my balance and failing. Each time I went for the kneeling break, he easily broke down my posture or simply sat up, whether or not I had an arm into the chest to try and keep him down. He also got a really tight triangle, though strangely the choke wasn't on (he eventually rolled me into mount with it still in place, so we reset). I think it could be something silly, in that I'm just a bit small for his frame! My neck was a little sore: I'm still not sure on the best balance between staying safe, while also helping your partner by not tapping too early. Neck was ok later, so hopefully I judged that right. Later on, I though about that again, as I overheard Kev giving a pep talk to a younger student. That teenager had gotten slightly injured earlier in class. Kev made the excellent point that sometimes you have to let stronger people have certain things. It's not worth the injury risk to strain against somebody way more powerful than you, so give it up, looking to make up any lost ground later. Something I always try to keep in mind, but well worth reminding yourself, especially if you're a smaller grappler (like me and indeed Kev, so he's speaking from long experience). In free sparring I continued having issues from guard with my first partner, a strong white belt, again because I'm ending up too square on. I'm still failing to angle off in closed guard and I need to improve that Relson grip, so they can't just swing their head under and out. I have a clear goal from most positions now, but closed guard keeps getting stuck into a repetitive cycle of break posture, grip, they get posture back, break posture, grip, etc. Or they manage to pass. The gi tail grip over the back is another handy goal, so I should be trying that more, though again I'm not angling off properly when I do get it. The next round went better, with a blue belt, as I finally managed to mount some offence (though only once it moved into open guard, my closed guard was equally stale). It's also the first time I can think of that Kev's mawashi grip worked well for me, resulting in a few sweeps. The difference was an extremely basic bit of advice Kev mentioned when I said how I'd had trouble getting much off the grip: sit up. I realised that I've been trying to do it with my back too near the ground. Sitting up made it much more effective. I managed to land the north-south kimura and mount was working well for me too, landing a few cross-chokes. I'm teaching the cross-choke on Monday, so it was very helpful to hit it a few times in sparring, in terms of establishing what elements of the technique are important to get it to function (for me at least: one of the best things about teaching is that it forces you to think about doing a technique using a body other than yours). Of course, this was against less experienced people who aren't too much bigger than me, but still handy to practice.